The developers of Wii Sports have joined me to kick off our series of interviews on Wii software. So without further ado, I would like each of you to introduce yourself, beginning with Eguchi-san. Please also explain in layman's terms what you have worked on up to now. My name is Eguchi, and I work in EAD (Entertainment Analysis & Development Division). I was the producer for Wii Sports. In the past, I have worked on projects such as creating the levels for Super Mario World. More recently, I was the producer on Animal Crossing: Wild World. I should add that I was also in charge of Wii Play, which was developed at the same time as Wii Sports. My name is Ota, also of EAD. I was the director of Tennis, one of the five games in Wii Sports. I have worked on numerous projects, but presenting the "100 Marios"1 demo on stage at the unveiling of the GameCube was one of the more interesting ones! (laughs) 1"100 Marios" was a demo shown at the unveiling of the GameCube at SpaceWorld 2000, a video game trade show hosted by Nintendo, held in Chiba, outside Tokyo. Beginning with a single sprite, the number of Marios on-screen increased until there were over 100 displayed. I'm Yamashita, and I work in EAD. I was in charge of Baseball and Boxing for Wii Sports. Recently, I have been involved in Big Brain Academy. Before that, I worked on Pikmin and Pikmin 2. In the past, I worked on the Mario Artist: Talent Studio project. But perhaps that is going too far back? My name is Shimamura, also working in EAD. I was the director for Golf and Bowling on Wii Sports. I moved to EAD three years ago, and recently worked on Nintendogs. Thank you. Now, let's begin with you, Eguchi-san. Could you describe for us how you began developing Wii Sports? It initially grew out of the development of the Wii Remote, which is one of Wii's best features. During the development of the Remote, we did a range of trials to see what it was capable of. The prototype software we used included things like a baseball game designed by Yamashita-san, and a tennis game that Ota-san came up with. Wii Sports came about as a result of our discussions about how to turn these into fully-fledged games. So you didn't start development with the intention of producing Wii Sports. Rather, you started by trying to design some trial software that would push the Wii Remote's capabilities to the limit. Ota-san, could you tell us about the process which led to the development of the Tennis prototype? I was a member of a small team of programmers that worked on all sorts of prototype software even before it was decided that the current Wii Remote would become the controller for Wii. So we really had a whole range of different sample controllers, for each of which we were tailoring specific prototype software. As Tennis was one of the games born out of that, it wasn't actually the result of a clear intention to develop something specific. As the Wii Remote is rod-shaped, it didn't take us long to come up with the idea of making a tennis game. Once we'd produced it, it was immediately apparent how well it worked. That's honestly how it happened. I think the secret behind the creation of Nintendo's controllers is the seamless way that work on the prototype controller hardware is combined with the development of prototype software for those controllers. What I mean is, no sooner is there an idea for a controller from the hardware development side than the software developers come up with something to test it with. The hardware side then takes on board the feedback from this. Wii Sports came about as a result of that process, repeated over and over again, didn't it? That's right. We really did produce a huge amount of trial software. A number of these ideas have been refined and ended up in Wii Play. Well, it was quite fun. Actually, it was a lot of fun! How can I put this…? It is much more fun to get new controllers one after the other, and then develop software as the inspiration takes you, than it is to try to think of new things to do with just one conventional controller, as we have up to now. Moreover, as the ultimate goal isn't to produce a finished product, we could stop working on something after getting a certain amount of feedback. This meant that we were working on an extremely fast cycle, and we could just keep putting all of our ideas into action. As you can imagine, that's a really fun job! Sounds like your dream job! Yamashita-san, tell us about the development of Baseball. To be honest, the primary motivation behind it was the fact that no one else had made it! (laughs) I looked at all of the prototype software that people in the company had developed, but for some reason no one had made a baseball game. So I decided to try making a baseball game and the feel of it was really good. I got members of other teams to take a look at it and the game's development was, in a way, a joint effort with Ota-san's team. I see. How about Golf, Shimamura-san? Golf began life as a mini-game in a different game altogether. It was initially developed not as a full golf game, but as a putting game. To turn it into a full golf game would have been a really large-scale undertaking, with courses to design and so on. But in the end, Ota-san and Yamashita-san's projects combined and gradually expanded into a kind of "sports collection", featuring several sports games. I was fortunate enough to be able to join forces with them. You just used the word "collection". 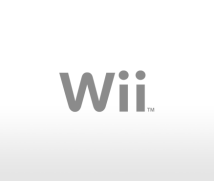 The idea of releasing a product consisting of a number of games is one that was formulated during the course of Wii's development. 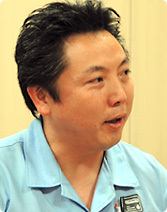 The producer overseeing the whole project was Eguchi-san. Now, putting games together might sound simple, but it was a difficult task, wasn't it? I have experience working as a producer, so I know that from the point of view of the person who has to bring everything together, that can be a real nightmare! (laughs) It's like having all these delicious-looking raw ingredients lying scattered around the place, but they still haven't been mixed together to actually make something edible. Absolutely! That's exactly what it's like. I was always agonising over how I should cook all these ingredients for my guests. At that time, (Shigeru) Miyamoto-san was also puzzling over how best to put the games together. Then one day - and this was extremely unusual - Miyamoto-san jotted down a plan on a piece of paper for how we should put that chaotic pile of ingredients together. Really? Miyamoto-san wrote it down on a piece of paper? I once got him to show me his specification document plan for Pikmin. I say specification plan, but it was actually just a sheet of paper with things scribbled on both sides. You know what Miyamoto-san is like: he won't get involved until the project is in real trouble and things are getting desperate, then he'll suddenly present the producer with one of his sheets of paper! (laughs) But for Wii Sports, he managed to get this to you early on? That's right. I'm sure Miyamoto-san felt that we really had to get this into shape ready for the launch of Wii. I'm sure that's what he felt. Just out of interest, what kind of instructions did he write down? Did it include the "Health Pack" idea that Miyamoto-san has been talking about a lot recently?2 2The "Health Pack" is the working title for a future release for Wii, announced by Shigeru Miyamoto at a conference held in mid-September. He described it as a way to help get families exercising together. Yes, it did. He was trying to push the idea of Wii as a tool at the heart of the living room, connecting families, so that idea was clearly written down. From the "Health Pack" through to further ways to connect families, it looked like he'd emptied the jumbled contents of his head straight onto the paper! (laughs) But, in all seriousness, he wrote everything we needed to do on that paper. He roughly divided all of the trial software we had into categories for sports games or games for all the family. Those family-oriented games went on to be included in Wii Play. He also wrote that we should sell those games bundled with the Wii Remote, as well as explaining the way that the calendar on the Message Board would work in conjunction with these games. This was a function aimed at getting people to switch their Wii on every day. When people play Wii Sports or Wii Play, their results are automatically posted on the Message Board calendar. Miyamoto-san had broadly outlined functions like this in the plan he wrote down. That single sheet of paper turned out to be the actual starting line for the development of Wii Sports. Just to clarify, had you been put in charge of overseeing the project at that time? I see! (laughs) When Miyamoto-san first explained the concept for this game collection to me, I thought that we were really breaking new ground. Normally, we might either release software which revolves round a main part, with a few mini-games, or else a collection of lots of mini-games. But with Wii Sports, we have collected five games. The way games have been made up to now, if we thought we could develop Tennis, for instance, into a great game, we would first polish it so it could be a stand-alone release. We would make lots of different modes, get licensed by the Tennis Association or whatever and then put Mario in as a character, as it's if it was a Nintendo game. That would have been the most obvious way to do things. The reason we didn't end up doing that is chiefly that we felt we had to get the product finished quickly. That's because Wii Sports is an ideal game for demonstrating to users how fun the Wii Remote is. So we really wanted to release it at the same time as the hardware. Yes, we had to get it ready in time. For that reason, we decided we had to prepare it for release as efficiently as we could, without allowing it to grow excessively large in scale. On top of that decision, we also had fixed in our minds something that you had said before: "Not every game has to be like an encyclopedia. There is nothing wrong with magazines or comics. If the idea is good enough, it's ok to keep it simple." So even if it's not the most stunningly gorgeous game of all time, we chose to produce a game which can compete on the merits of its content, which while simple, also has real depth. I believe that a collection of games like this is truly ground-breaking. It's not a single lavish stand-alone game, neither is it a compilation of 100 different mini-games. It has no official licences or endorsements, nor are there any famous people featured in it. It lives up to the initial concept of offering a revolutionary control method, a brand new type of game. Moreover, it contains five different games, all of which have been individually designed so the player never tires of them. I don't think there has ever been a collection of games quite like this.